Space is a premium in NYC! 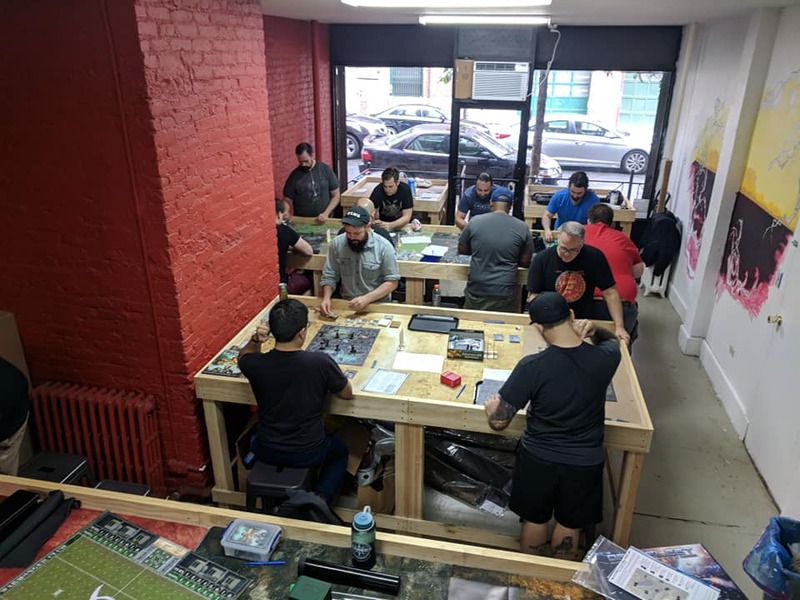 If you enjoy big, chunky tabletop, board, or card games, it can be hard to find a place you can play. We have tables custom built for your gaming needs! Are you a wargamer? 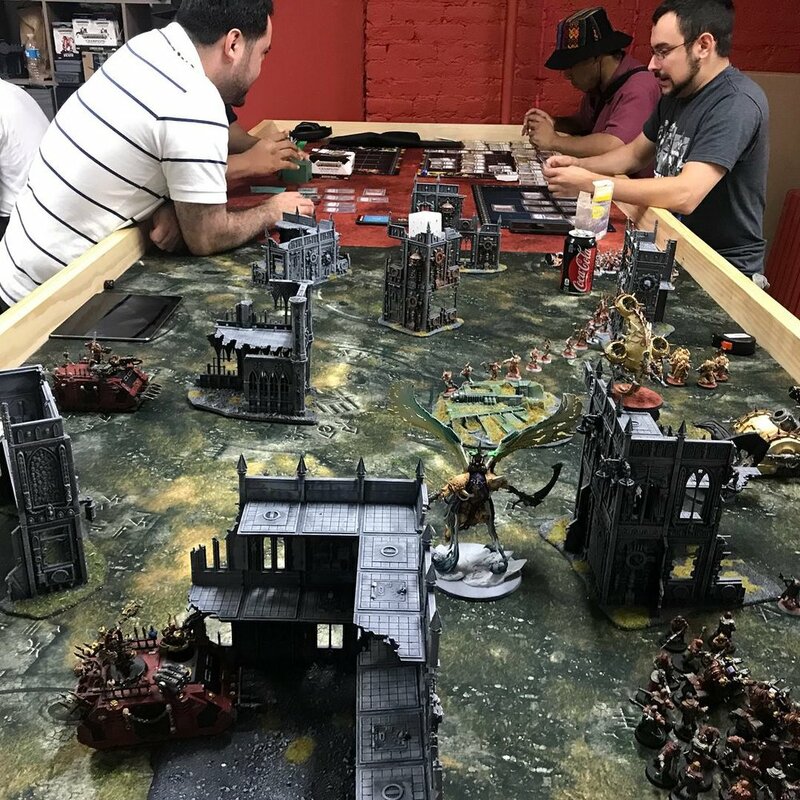 We've got tables, mats, and terrain to get your game in! Are you more of a card and/or board gamer? Our library of board games is open to members and a community of card gamers are playing at our space most nights. ...and players to play with! 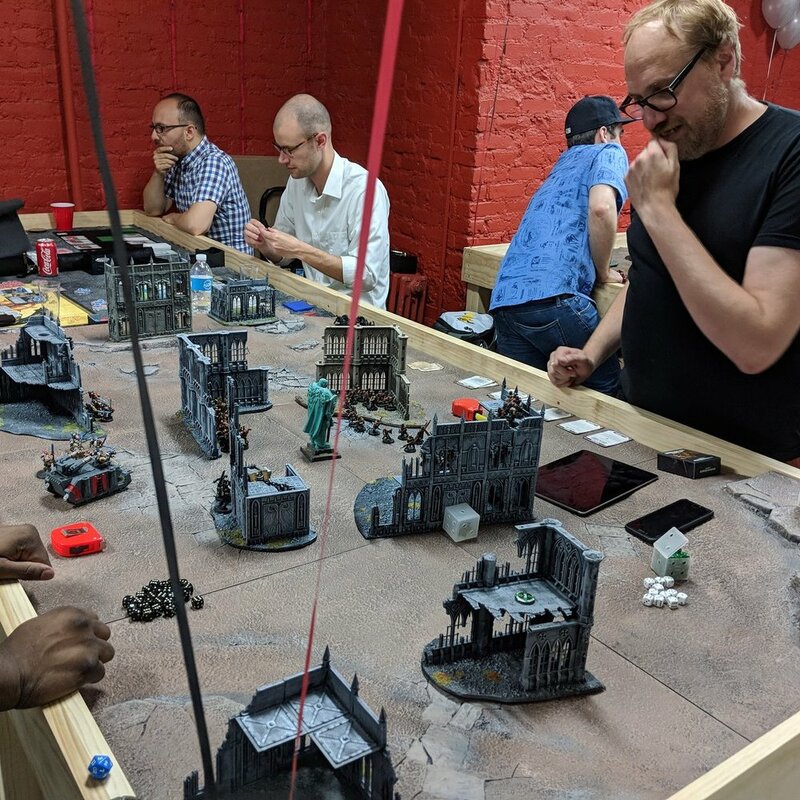 At The Carcosa Club, we have an active community of tabletop war, card, and board gamers looking for players to play with! 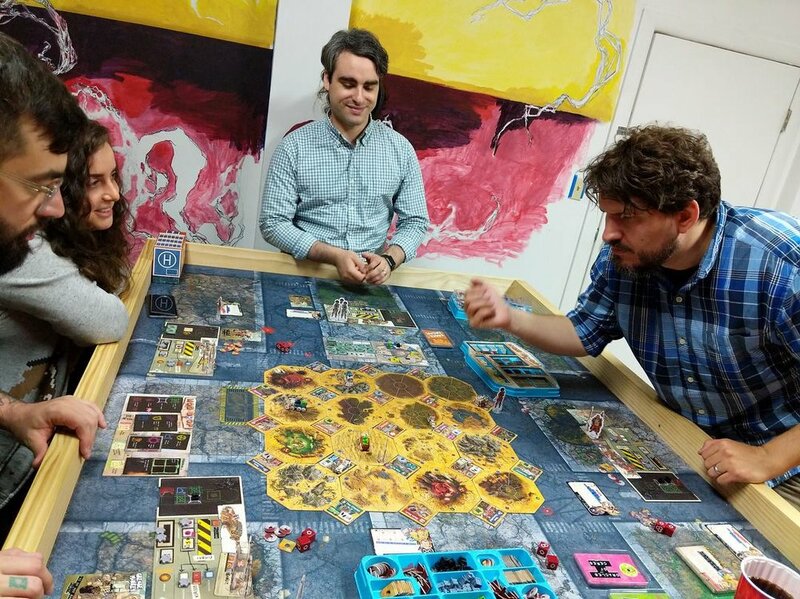 Players connect via our Slack workspace and Facebook group, and we have weeknights dedicated to our most popular games. These include Warhammer 40k, Kill Team, Legend of the Five Rings, Malifaux, Star Wars (X-Wing, Legion, Destiny), Shadespire, Blood Bowl, and many more. Don't see your game on this list? Connect on Slack and just ask. Someone in our community is probably playing it. We are located in Williamsburg, Brooklyn at 444 S 5th Street @ Union. We are a short subway ride from most boroughs via the L, G, J, and M trains. There's even a Citi Bike station a block away. Club members get a code to the space and can access it 7 days a week from 9am - 11pm. Members also get discounts on retail orders and events tickets, as well as early access to events before they sell out. Guests can also visit the club for $10 per day provided a member is present (first visit is free). We are a member-run club. For more about this, click here. Access to the club 7 days a week. Cancel anytime (no minimum duration). Billing will appear from The Greenwood Club Inc, the official legal entity that manages the club. or come by for a visit! You can pay when you arrive at the club. Note: PLEASE MAKE SURE YOU HAVE CONFIRMED AT LEAST ONE MEMBER WILL BE PRESENT WHEN YOU WANT TO VISIT THE CLUB.